Why work if not to help others? That is the ideology with which founder, Rohan Hazrati started Rupaiya Exchange, India’s leading Peer-to-Peer Lending platform. His belief is that Peer-to-Peer lending is a platform built so that individuals can invest each other, help one another in a way that’s never been done before in India. This vision of his first saw light on November, 2016 when the online platform rupaiyaexchange.com was launched. This platform caters to borrowers and lenders both. Borrowers are those individuals who require funds for any reason, be it to buy a car, fund his/her education or go on a dream vacation. These are borrowers who are not catered to by traditional financial institutions. Rupaiya Exchange caters to them to help them achieve their goals. On the other hand, we have lenders. These are lenders who are looking to invest their money into individuals and at the same time earn interest. By enabling communication between these two parties, Rupaiya Exchange ensures that credit is available to as many people as possible and those who require loans are not left behind. In this pursuit to provide help to all, Rupaiya Exchange has ensured it caters to all parts of the country. Loans have been disbursed to states from Nagaland, Chhattisgarh, Tamil Nadu, Rajasthan, Himachal Pradesh, Maharashtra, etc. 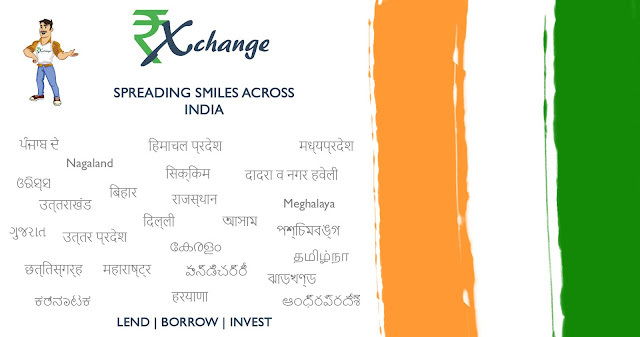 Providing services online helps Rupaiya Exchange reach out to individuals across the country! All services from registration to documentation are carried out online through cutting edge technology further helping in streamlining and automating all services. As difficult as it is to get a loan in metropolitan cities, it is next to impossible to get a loan in smaller cities due to the lack of access. Through online processes, Peer-to-Peer lending has bypassed such limitations to provide credit options to even the furthest corners of the country. Anyone with an internet connection can contact Rupaiya Exchange and get access to safe and secure credit. Rupaiya Exchange continues to spread across the country and reach out to as many people as possible. If we don’t help our own family, who else will?